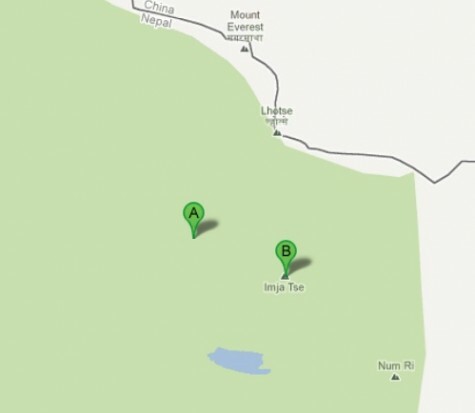 Facebook post from JCG Expeditions: Today (25th October) the team are trekking to Chukkung where we will spend 2 nights. 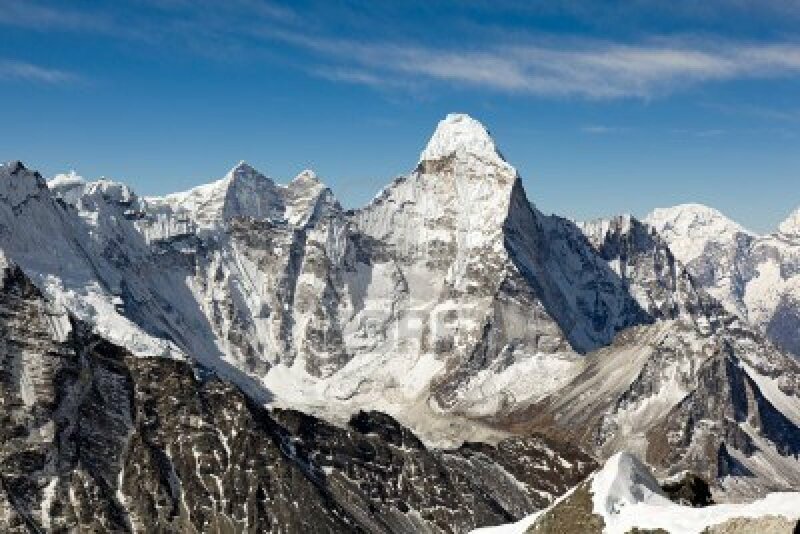 On the 26th we will make an accent of Chukkung Ri to 5550m for acclimatisation and on the 27th trek into Island Peak base camp. 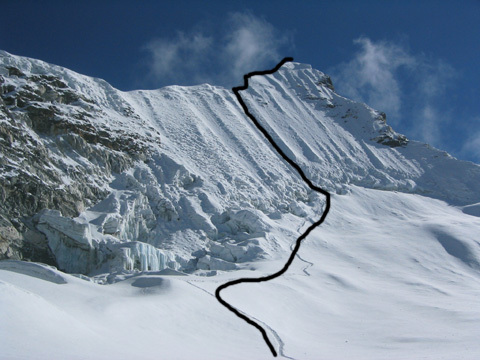 At midnight on the 28th we will make our summit attempt on Island Peak. I will have no internet for the next few days but can tweet occasionally so please follow me on @jcgexpeditions – thanks! Tweet from @JCGexpeditions: Island Peak sitting at the head of the valley! Finally we leave the Everest route behind and ascent a 18,191 foot mountain of Chukhung Ri and onto Chukkung where it is time to organize for trekking to base camp of Island Peak. From Dingboche we no longer have a view of Everest as it is hidden by Lhotse but we can see Island Peak for the rest of the approach. 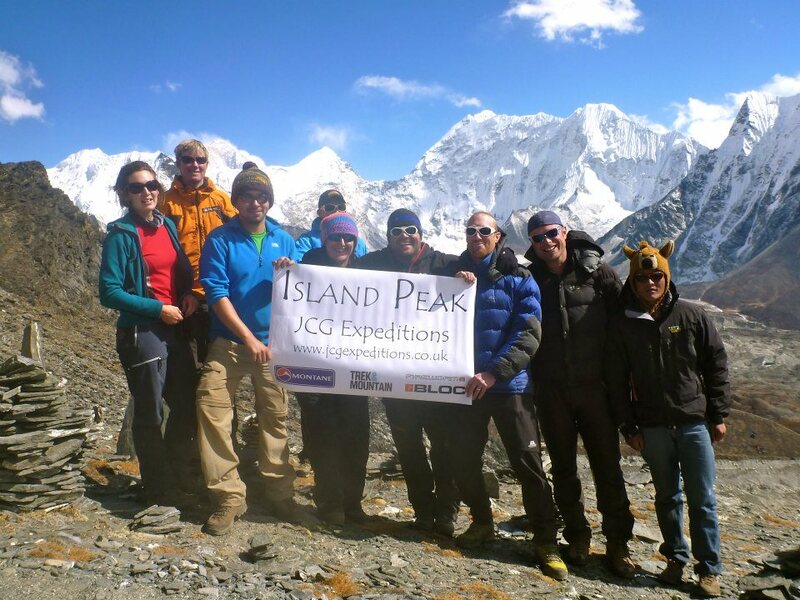 Tweet from @JCGexpeditions: Day 6 – Today the team will attempt to reach 5000m on the slopes behind Dingboche before descending back to Dingboche for a 2nd night. Tweet from @JCGexpeditions: Day 6 – BOOM! Full team now at 5000m enjoying spectacular views of hundreds of big mountains including 2 x 8000m peaks! 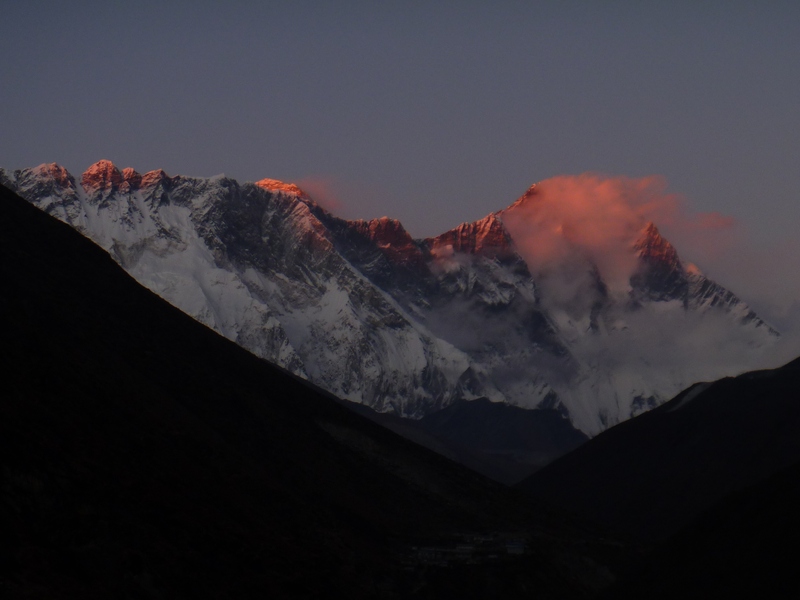 Tweet from @JCGexpeditions: Day 6 – We can see: Makalu, Lhotse, Ama, Island Peak, Cholatse, Barrentse & more – what can u see? Island Peak from 5000m during our acclimatisation hike yesterday from Dingboche – amazing weather and all the team are doing really well. Facebook post from JCG Expeditions: Day 6 | Hello from Dingboche 4400m!! The past few days have been amazing with trekking from Namche – Kumjuma (Tashi’s) and Kumjuma – Pangboche and today up to Dingboche. This morning we visited the Pangboche Monastery and took a buddest blessing called a Puja. All the team are doing really well and moral is high. 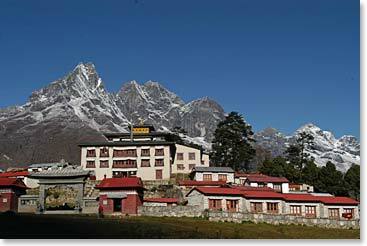 We will now spend 2 days here in Dingboche with an acclimatisation hike tomo to reach 5000m! 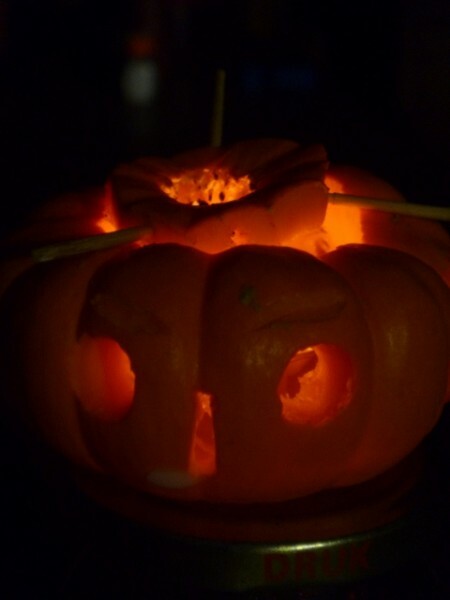 I will also try and get a couple of pictures up for you guys. Tweet from @JCGexpeditions: Day 5 – The team have enjoyed a buddest ‘Puja’ blessing at the Pangboche monastery and now a leisurely walk to Dingboche. On up another 3 hours to 4413m at Dingboche with excellent views of Ama Dablam and home of the Sherpas who work on this imposing mountain each post monsoon season. 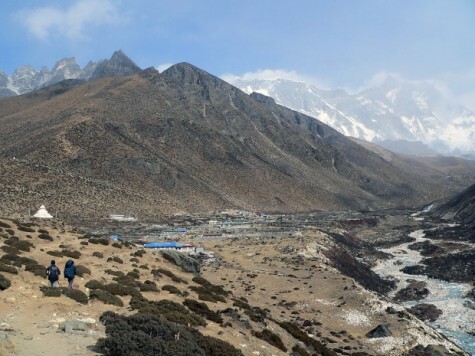 Contouring up the valley side, then recrossing the river and turn up the Imja Valley to reach the picturesque farming village of Dingboche at 14,465ft. 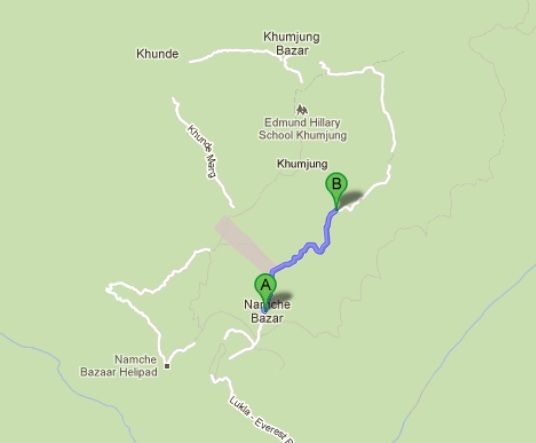 We stay a day here to acclimatize further with a quick hike up Nangkar Tshang to 5000m. The hike to 5000m was hard going personally for me as I have picked up a nasty cold. So am rattling with all the pills I can take! I slept 14 hours in the last 24 and am feeling much better this morning. Snow fell last night and stuck and we woke up to ice on the inside of the windows. So much more luxirious then in a tent. The yaks have now been called into service to carry tents etc up to base camp at Island Peak. From Dingboche we got our first view of the peak. She looks tiny in comparison to her 8000m neighbours but having talked to people who summited in the last few days she is still going to be a hard one. 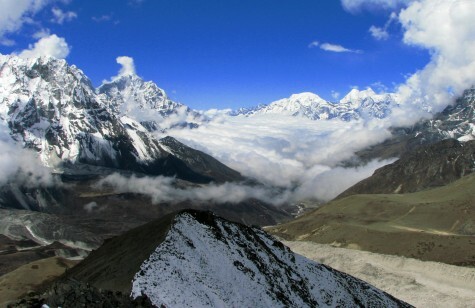 We will work out way up to Chukkung today and do some rope work then on another hike up to 5500m before onto base camp. We are now way above the tree line and the clouds appear from further down the valley in the afternoon. Cold here but still beautiful and if this cold goes away I will start enjoying life a ton more. Tweet from @JCGexpeditions: Day 4 – incredible atmospher as we trek deeper into the Kumbu under the watchful eye of Everest & Ama. Tweet from @JCGexpeditions: Day 4 – done & dusty. Full team enjoying some well deserved hot lemon and a sit down! Views incredible as always! On the trek we dropped altitude to cross Dudh Kosi before a steep climb out and up to the beautiful mountain village of Thyangboche which has a bakery and a famous Monastery. Pangbouche is a further hour and half. We had a dog follow us for most of the day I took video. 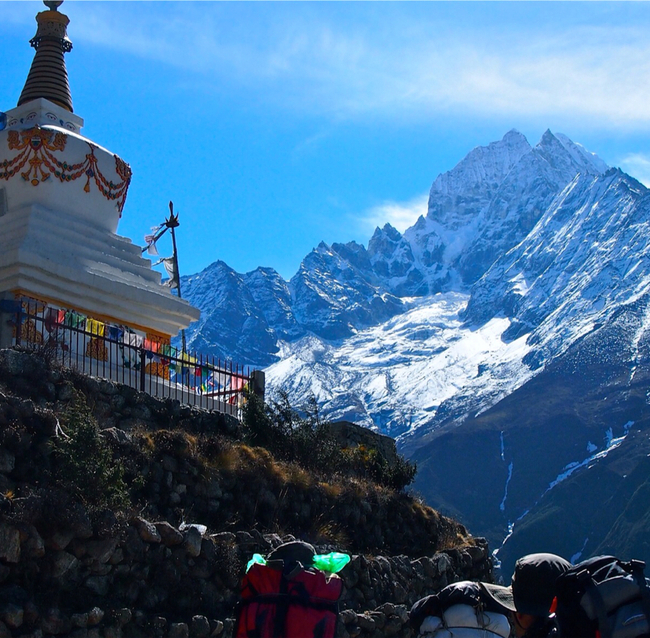 Tweet from @JCGexpeditions: Day 3 – today we are ascending the hill behind Namche to the Everest View Lodge before dropping down to Kumjuma. Tweet from @JCGexpeditions: Day 3 – Epic views for the team today: Ama 6812m, Lhotse & Everest 8000m, Nuptse, cholatse & loads more! 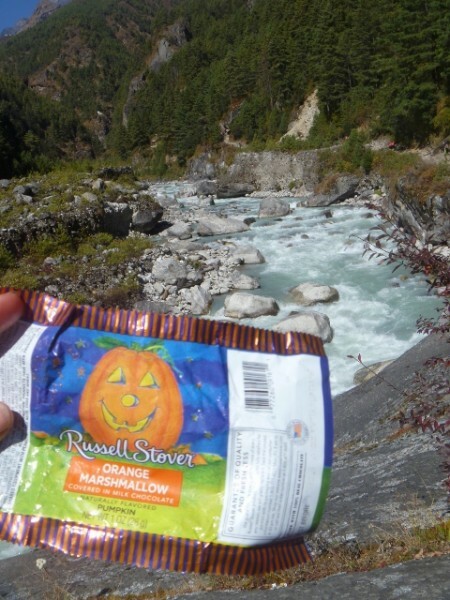 We continued on the Everest Trek which contours around the side of the valley high above the Dudh Kosi. Following the path Everest, Lhotse, Nuptse and Ama Dablam come into view. 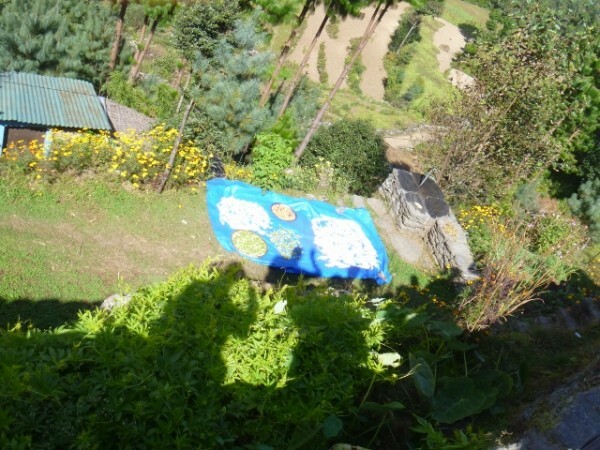 The trail passes several villages and numerous tea shops.